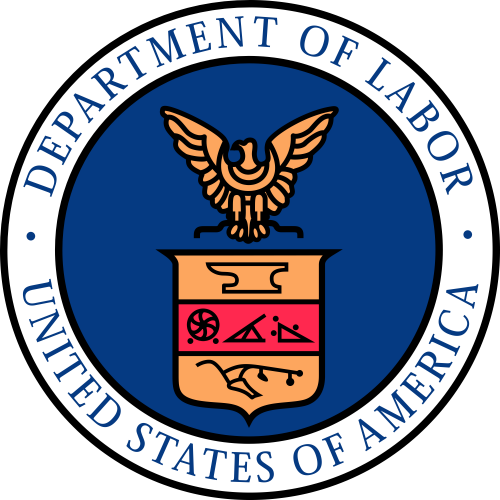 For those of you who have been following the U.S. Department of Labor’s (DOL) efforts to change (at least) the salary threshold for white collar employees under the Fair Labor Standards Act (FLSA), the day of reckoning is likely upon us. On March 14, the DOL submitted its final version of the regulations to the Office of Management and Budget (OMB) for review. OMB’s Office of Information and Regulatory Affairs (OIRA) has been conducting its final review of the text of the regulation and will then publish it in the Federal Register. The period for the Office to review a draft regulation is limited by an Executive Order to 90 days, with the possibility of a single, 30-day extension. So why am I saying that I think the regulations will come out next week? Passed in 1996, the Congressional Review Act created a period of 60 “session days” (days in which Congress is in session) during which Congress could use expedited procedures to overturn a regulation. During this period, Congress could pass a resolution of disapproval, which would not be not subject to Senate filibuster rules. Of course, the president could still veto this resolution, rendering the CRA rather ineffectual…except at the end of an administration. OIRA is likely to complete its review and publish the regulations before May 16 because although it is May, it is an election year and Congress has just over 60 session days left in its calendar. By May 16, barring any changes to the calendar, Congress will have fewer than 60 legislative days, meaning that the next Congress could pass a resolution of disapproval and the next president could sign the resolution, undoing the regulations. By approving and publishing the regulation now, OIRA can ensure that President Obama would still have the opportunity to veto any Congressional resolution (which he would almost certainly do). Once the final rule is published in the Federal Register, employers will have 60 days to comply, or by sometime in mid-July. They must earn at least a specified weekly salary (described in the NPRM as the “salary level” requirement). Related to the EAP exemptions, the regulations also exempt “highly compensated” employees who “customarily and regularly” perform one of the exempt duties of an administrative, executive or professional employee, but who do not otherwise meet the duties test. 29 C.F.R. § 541.601. The DOL’s proposed FLSA rules will increase the salary level to the 40th percentile of weekly earnings for full-time salaried workers, based on Bureau of Labor Statistics (BLS) data. In 2013, the NPRM explains that the salary level would have equaled $921 per week (the equivalent of just a shade less than $48,000 per year). The DOL projects that the 2016 salary level will increase to approximately $970 per week, or the equivalent of $50,440 per year. That number might end up just a little bit high, as I’ve noted on Twitter that with CPI numbers coming in lower than expected this year, many indexed minimum wages will not increase in 2016. More importantly, for the first time in the FLSA’s history, the salary and compensation levels would be indexed to this BLS data and updated annually, without the need to go through further rulemaking. Also, eagle-eyed readers will notice that I’m saying “the equivalent” of an annual salary. That’s important because the FLSA’s salary level is based on weeks, not years. An employee that makes $50,440 per year but whose salary does not always equal at least $970 per week would not meet the salary level test each week. There could be changes to the duties tests as well, but those changes were not included in the DOL’s proposed regulations, so we don’t yet know what they will be, if anything. I’ll provide some more tips next week, but in light of the imminent new rules, employers need first to identify now all of their currently exempt employees who are paid less than $50,440 (and/or less than $970 per week). Employers will have to make an informed decision about whether to reclassify or adjust salaries prior to the July compliance deadline. Next: FLSA Regulations are Here…with Four Surprises!